A man from Hong Kong has been caught on the Chinese border trying to smuggle 94 models of the iPhone 6, which were strapped to his body. The man, who is a citizen of Hong Kong, was noticed by officials when entering mainland China through Futian Port, walking strangely with a stiff posture and joint movements, the Sina news website reports. They checked his two shopping bags but didn’t find anything, and it was only when he walked through a metal detector and set off the alarm that they realized something was indeed amiss. 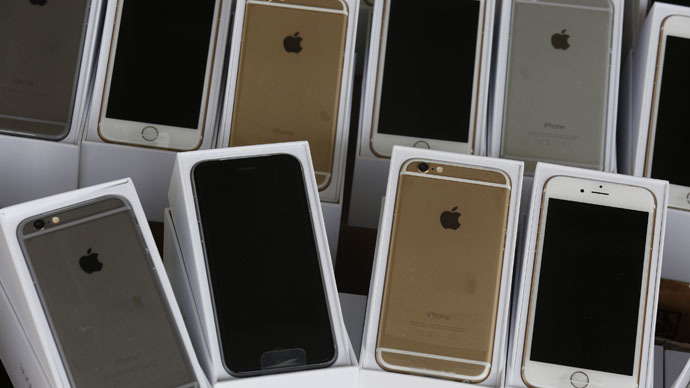 Even though the latest iPhone 6 has been available in China since October, smuggling is still rampant in the region. The phones are currently being held by customs.